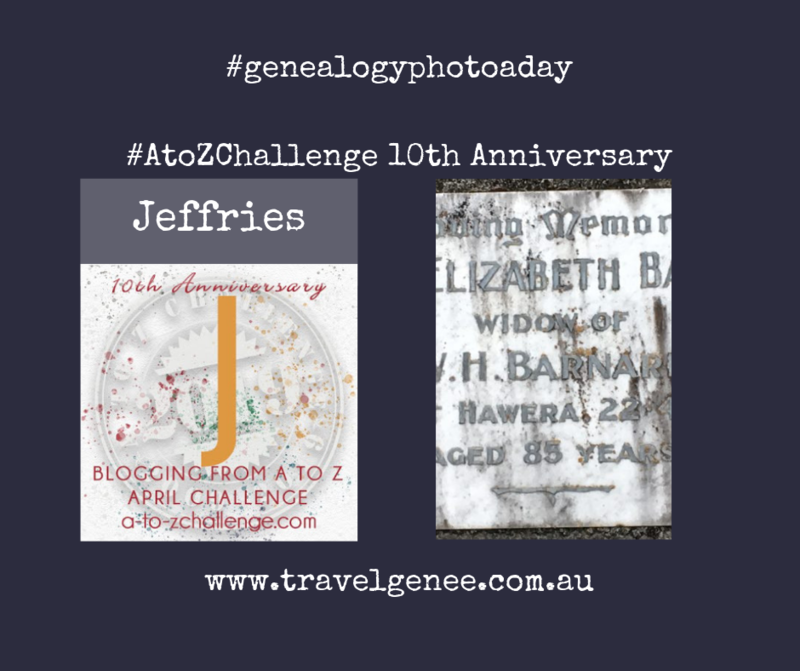 I wrote about the Jeffries, including Flora in a previous A to Z Challenge back in 2016. The post mentions Flora Elizabeth Jeffries was born in 1868. She was my paternal grandmother’s half-sister and the informant on my grandmothers birth certificate. 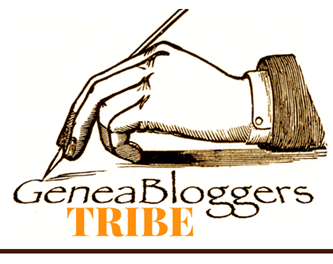 Here is a link to the post on the Jeffries. 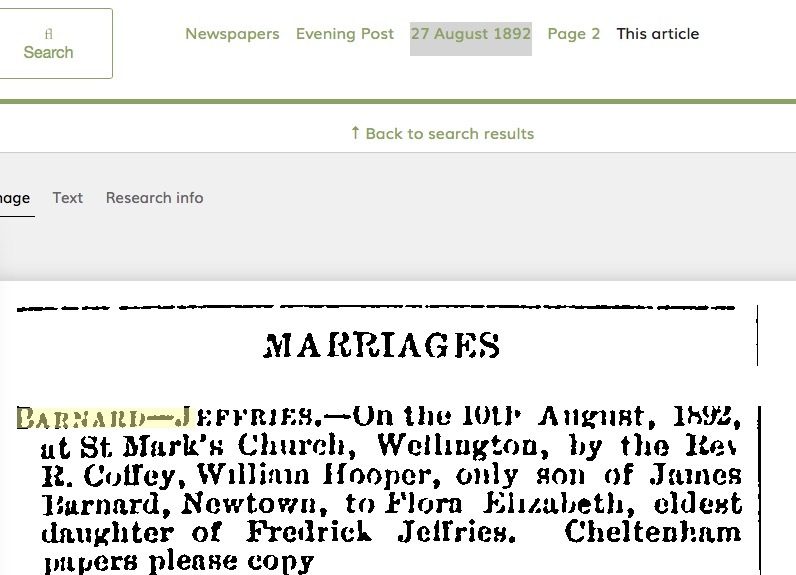 Flora married William Hooper Barnard on 10 August 1892 according to the NZ BDM website and this article from the Evening Post newspaper on 27 August 1892. It is available to view at PapersPast. 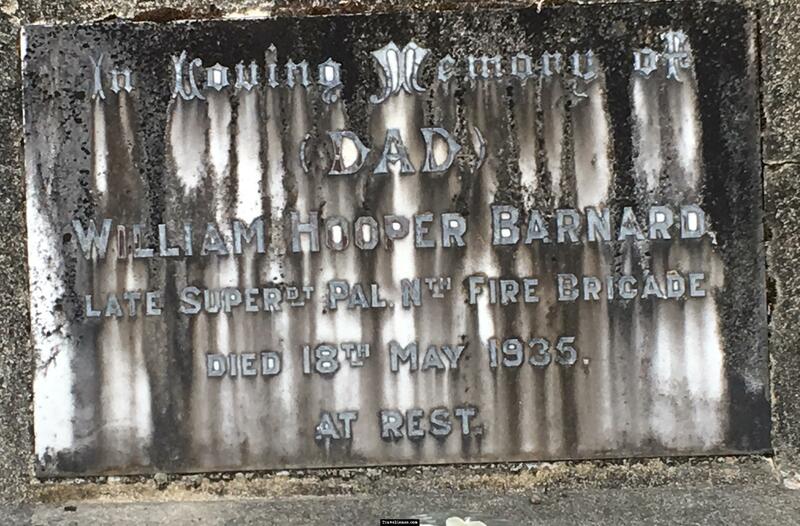 I have found three children from this marriage: James Hooper Barnard born 6 May 1894, Jack Ernest Barnard born 5 April 1896 and Percy William born 11 April 1897. 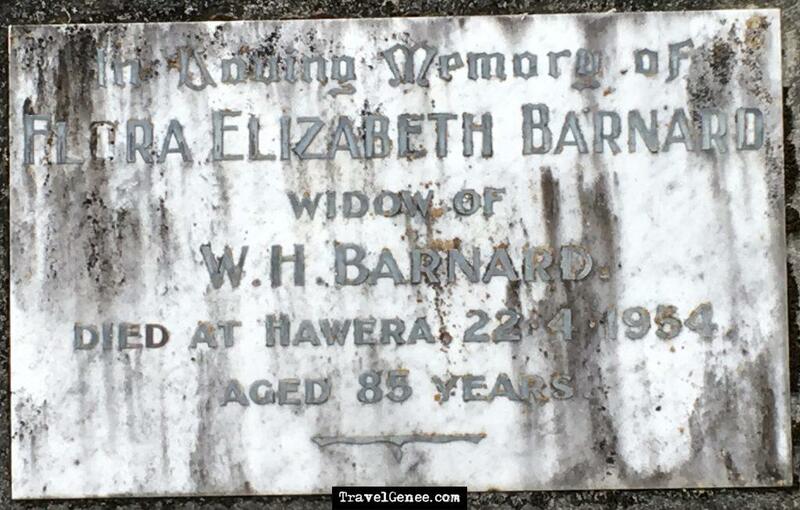 On Instagram, I shared her grave marker and how I found it when on holiday in New Zealand one Christmas. I do try to do the genealogy tourist thing: visiting cemeteries and graveyards. As I seem to have a large proportion of ancestors with unmarked graves I do not have great expectations when out searching. 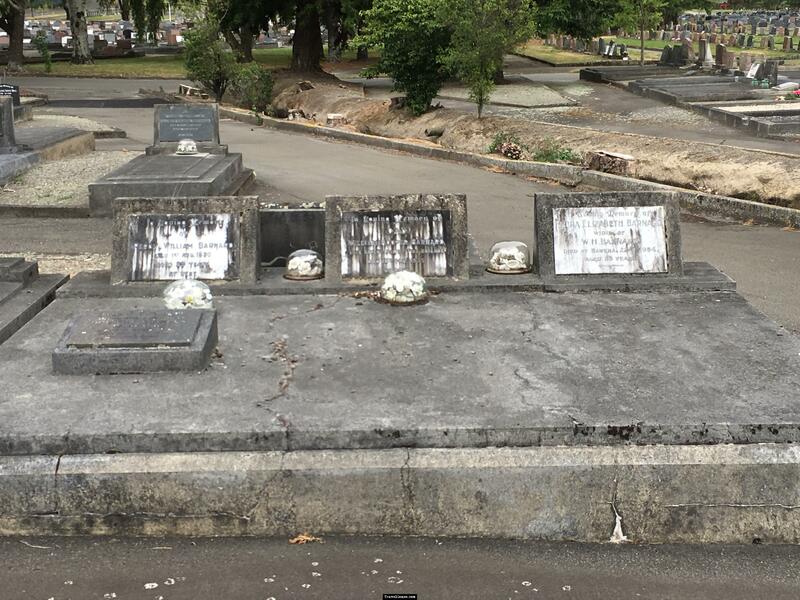 To improve my chances I had researched that Kelvin Grove Cemetery⁩, ⁨in Palmerston North, ⁨New Zealand⁩ was the location of a number of persons in the Barnard family. Hunting for grave markers while on holiday does require this prior research, to be successful on location. 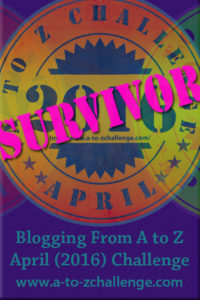 For a change, I had success with Flora Elizabeth Barnard, nee Jeffries. 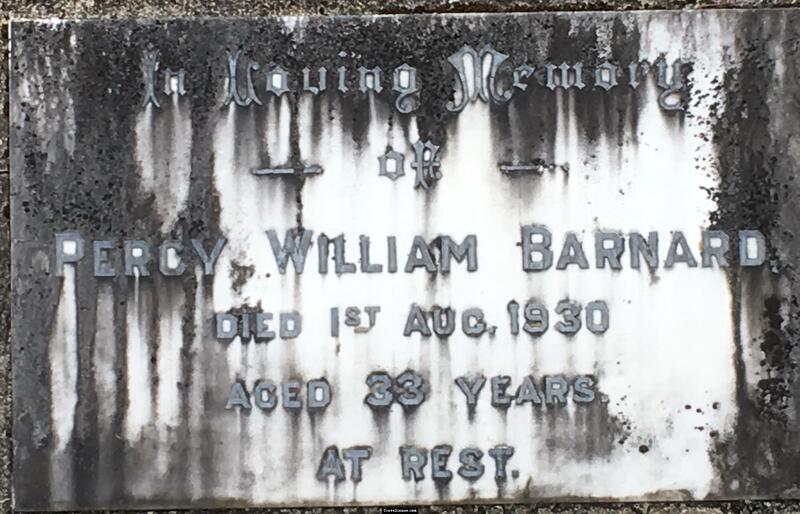 In addition, there was her husband, William H Barnard and son Percy W Barnard. There was also a Dorothy Frances Barnard however the stone was very dark so I could not take a photograph, to share, that showed the text. It is the one in the front left of the family plot. Do you hunt in cemeteries? 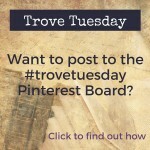 Leave a comment, thanks. 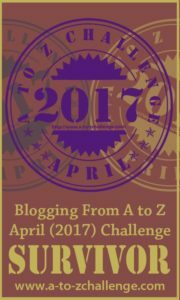 ← Previous Previous post: AtoZChallenge Ipswich – Who was born there? Oh yes, I love a good cemetery. The older, the better. Absolutely! I have visited cemeteries all over and sometimes even find gravestones:). My favourite is my 2xgreat grandmother’s right near the door of the little octagonal church at Cairndow Scotland. I googled Cairndow and assuming I found the correct church it is a nice looking spot to end up.